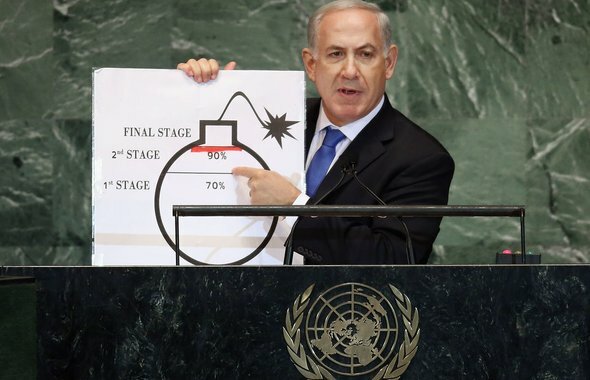 Prime Minister Benjamin Netanyahu addresses UNGA, says by next summer it could be a matter of months - or weeks - until Iran has a high enough level of enriched uranium for a bomb. The rage in Spain - With protests and a secessionist threat, Spain’s problems are growing. Better a bail-out now than later. China's biggest steelmaker said Thursday it has shut down a mill in Shanghai in a troubling sign of weakening growth in the world's second-largest economy. A host of start-up companies are exploring ways to harness the enormous amount of wind energy flowing around the earth, especially at high altitudes. But as these innovators are discovering, the engineering and regulatory challenges of what is known as airborne wind power are daunting. A national network in the U.S. is now being built that will allow electric cars to travel long distances with nation-wide charging accessibility. A new report commissioned by 20 different governments states that more than 100 million people will die by 2030 if nothing is done to tackle climate change. Global economic growth will also be cut by 3.2% of gross domestic product (GDP). A concept for a real-life warp drive was suggested in 1994; but was found that such a device would require prohibitive amounts of energy. Now physicists say that adjustments can be made that would enable it to run on significantly less energy, bringing the idea back from the realm of science fiction into science. How India's epic blackout could launch a solar revolution. The 10 best-educated countries in the world, in 2012. One million new species have been discovered lurking deep in the world's oceans.